Jo is a long term industry professional. Having started some 33+ years ago, Jo has a huge amount of industry experience and has travelled extensively over the years and has visited destinations on most peoples bucket lists. Africa, South America, North America, Asia, Europe to name a few. Jo also spent 2 years travelling around Australia and has a great knowledge of off the beaten track destinations within Australia. Jo has adult children and has a great understanding of family holidays having travelled with her children from a very young age. 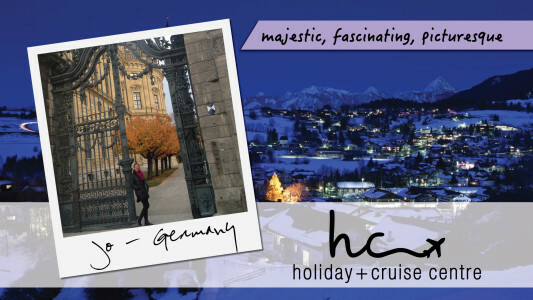 Jo is also an avid cruiser having recently cruised Europe with APT & South America with MSC cruises along with experiencing many of the local cruise lines out of Australia.